We have so many great authors and illustrators in New Zealand and I love shouting about them. There have been a bumper crop of books from NZ authors and illustrators this year and there are strong contenders for the 2013 New Zealand Post Children’s Book Awards. Some of these books have been included in my other Top 10 of 2012 lists but I wanted to do a separate list to highlight these spectacular NZ books. 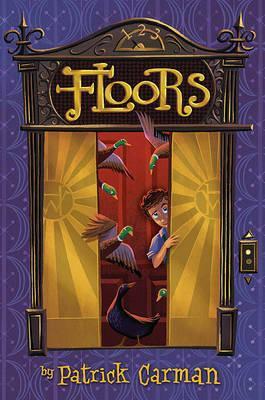 There have been so many middle grade fiction books published this year, both here in New Zealand and overseas. It was difficult to pick my absolute favourites but here they are, my Top 10 Middle Grade Fiction of 2012. If you want to know more about these books you can read my reviews here on the blog. Suppose there were 12-year-old twins, a boy and girl named (respectively) John and Abigail Templeton. Let’s say John was pragmatic and played the drums, and Abigail was theoretical and solved cryptic crosswords. Now suppose their father was a brilliant, if sometimes confused, inventor. And suppose that another set of twins—adults—named Dean D. Dean and Dan D. Dean, kidnapped the Templeton twins and their ridiculous dog in order to get their father to turn over one of his genius (sort of) inventions. Yes, I said kidnapped. Wouldn’t it be fun to read about that? Oh, please. It would so. Luckily for you, this is just the first in a series perfect for boys and girls who are smart, clever, and funny (just like the twins), and who enjoy reading adventurous stories (who doesn’t?!). 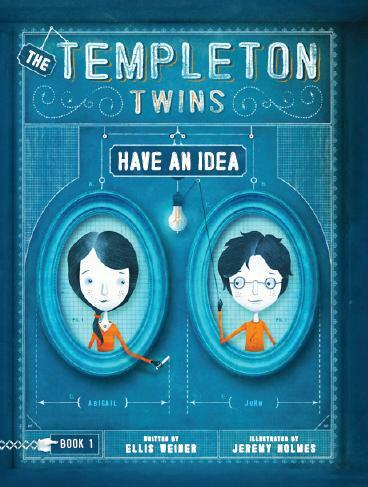 The Templeton Twins Have an Idea is perfect for fans of Lemony Snicket and anyone who likes a story with lots of mystery, adventure, and tight spots to get out of. It’s clever, witty and funny, but also a little bit crazy. The story is told by the Narrator, a rather strange fellow, who is always trying to convince us (the Reader) how wonderful he is. It takes the Narrator quite a few tries to actually get the story started, but when he does he keeps you on your toes. The Narrator helps to point things out to the Reader, but also throws you off track by asking bizarre and random questions, like ‘Can you spell moustache?’ At the end of each chapter the Narrator has some Questions for Review, to test what you can remember about the story or just help to boost his ego. You meet some curious characters in the story. The twins themselves are quite unique – Abigail is very clever with words and John is extremely clever when it comes to devising plans and putting them into action. These skills, as you can imagine, come in very handy throughout the story. The villain of the story is Dean D. Dean, who accuses the twins’ father of stealing his idea for an invention. Dean D. Dean is good at hatching plans, which involves kidnapping the Twins to hold for ransom. If you think his name is silly, it only gets worse when he tells the children he wants to be a university dean. “Exactly!” the man said with a wild, crazed smile. “It sounds like ‘Here Comes the Bride,'” John said. The book is illustrated throughout by Jeremy Holmes, with diagrams of inventions by the twins or their father, explanations of schemes that they have cooked up, and pictures of the characters. There is some little illustration on each page, whether it’s Cassie the Ridiculous Dog or just the cog around the page number. I think the illustrations will really appeal to boys and hook them in, especially if they’re not big readers. Visit the very cool Templeton Twins website, where you can learn more about the book, the author and the illustrator, and watch the book trailer.